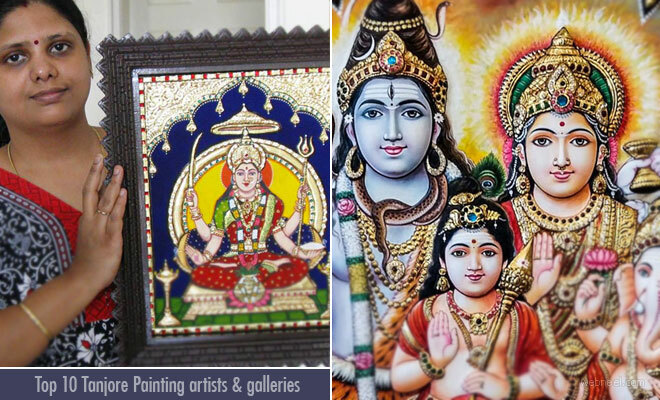 Here are a collection of Top 10 Tanjore painting artists and Art galleries around India. Beauty and Grace overhelm our minds when we happen to see a Tanjore painting. This classical south Indian art brings our opulent past with exquisite life in it. 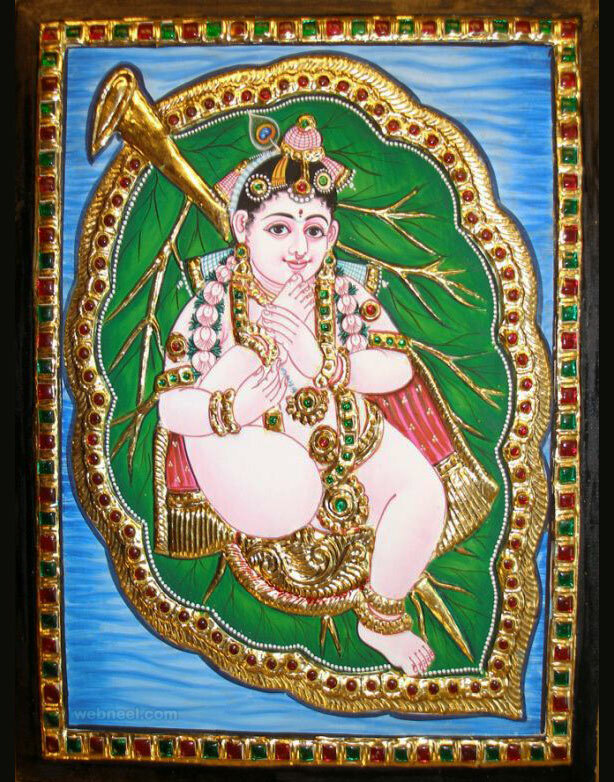 Tanjore painting has a history which dates back to about 1600 AD. 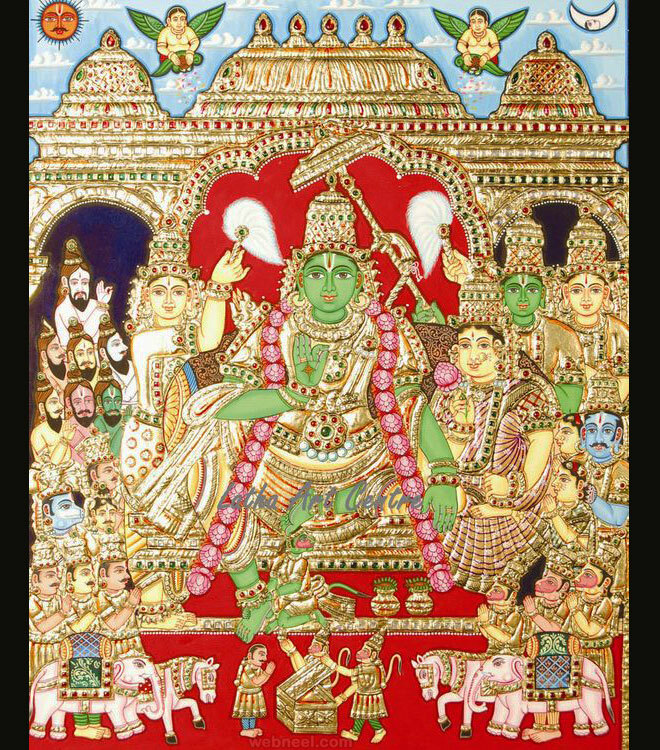 Tanjore Painting artist add liveliness through various styles such as Deccani, Vijayanagar, Maratha and even European in their paintings. The heart of art lovers are impressed by the characteristics such as Flat and vivid colours, elegant iconic composition, shinning gold foils laid over extensive gesso work and the rare usuage of precious and semi-precious gems. Their serene beauty make them auspicious and precious and thus they blend well with any kind of decor. In local parlance Thanjavur painting artist call the paintings as 'palagai padam' as they are panel paintings done on wooden planks. 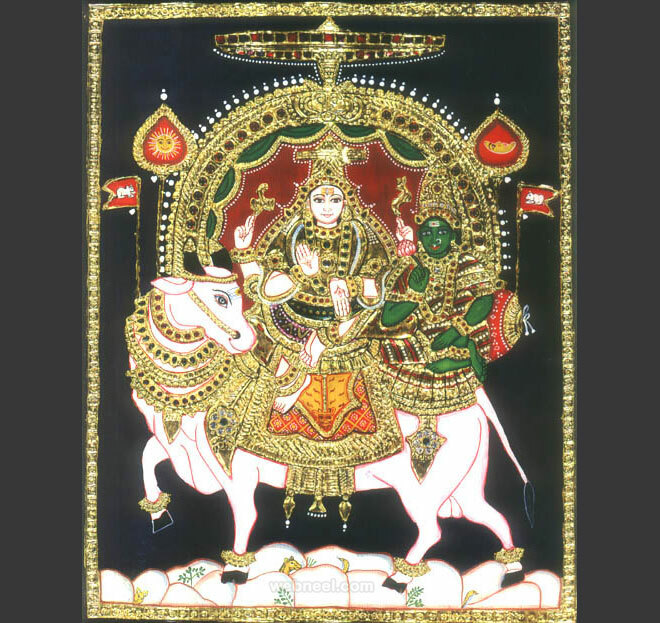 Three kinds of Tanjore paintings are available in tanjore art galleries - Embossed Tanjore Paintings, Antique Tanjore Paintings and Flat Tanjore Paintings. Tanjore Paintings has a great influence in modern, popular and academic art. Several online galleries are available to buy art of tanjore paintings. kanimozhi Santhanam is a native of Tanjore now based in chennai who is a distinguished person in Tanjavore paintings. Having completed her Diploma in Tanjavore paintings she has completed 1500 paintings in past 10 years. 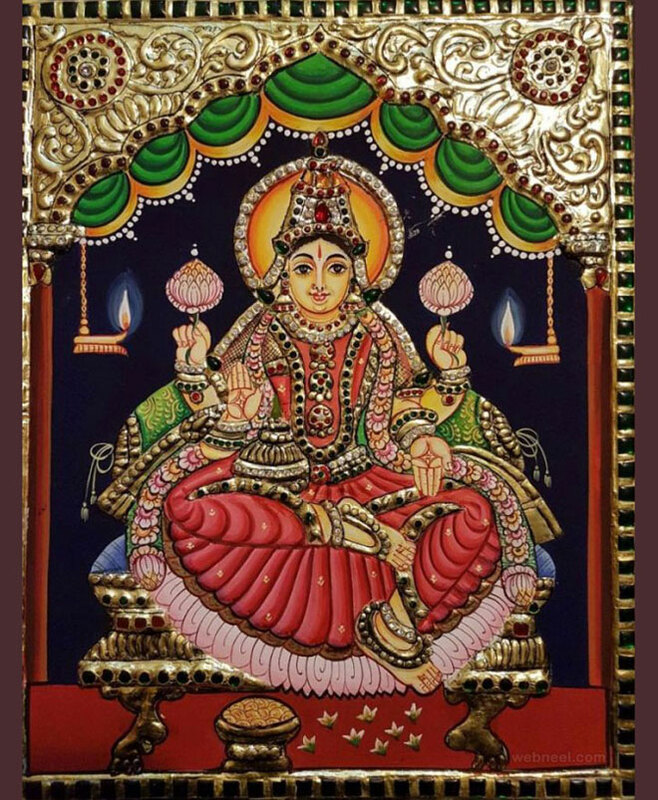 Several tanjore paintings of Kanimozhi has served in many renowed art galleries in chennai. She is a award winning Tanjore artist, exponent and art teacher from Bengaluru, who has taken up the challenge to revive this traditional art not only to evolve the painting, but also to keep it relevant in today’s world. Sandiv Art Gallery allows customers to buy tanjore paintings using an online payment systems. 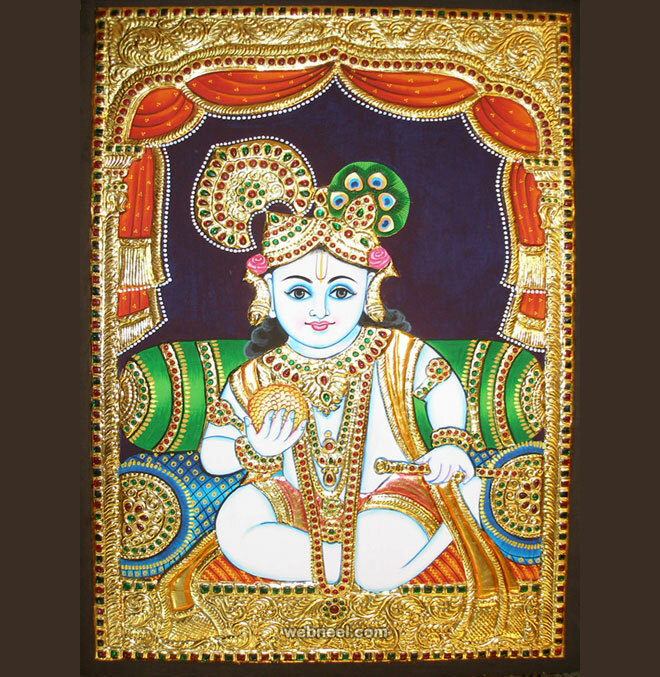 They accept international and national orders for tanjore paintings. Balaji Art Gallery has pioneered the field with thier first quality jaipur colour stones, white stones, 24cr,pure gold foil for the past 30 years. The gallery was founded by Mr Balasubramaniam and he is followed by Mr Paneer Selvan as a family profession. Mr. Paneer Selvan has been conferred 'ARTISAN' award by Government of Tamil Nadu in the year 1992. Address : No 5, Srimansrinivasa Road,Alwarpet, Adjacent Lane Before Nike Showroom, T.T.K Road, Chennai - 600018. Mythili Ganesh is a distinguished artist in Tanjore paintings who had a passion towards it from her childhood. Every painting of her shows the involvement she has in the feild of painting. 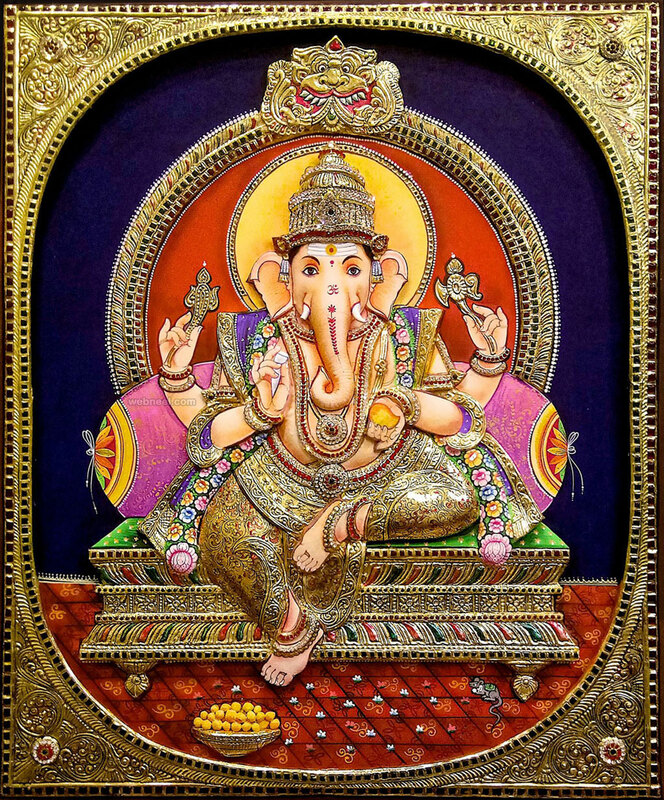 Mythili Ganesh hails from Palghat. Due to her attraction towards tanjore paintings she took up a diploma course from renowed institution in chennai at the age of 15. 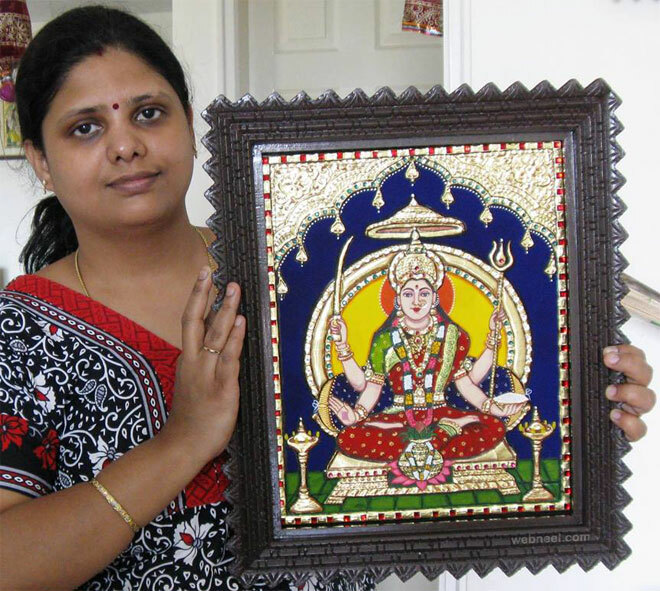 Mythili aims to bring about awareness about tanjore paintings and want to spread it among larger crowd of people. Tamil Tanjore Art Gallery is a leading manufacturer of Tanjore paintings and Tanjore dolls. The motive is to connect the art lovers directly with out any middlemen. With their wide experience in serving the customers with good quality Tanjore paintings, Tamil Tanjore art gallery is now into online promotion with the assurance of quality and tradition. Address : #6B, 8th street, Sakthi Nagar Main St, Thoraipakkam, OMR, Chennai - 600097, Tamil Nadu, India. Latha arts is based in chennai and is founded by Latha Prakash who is chief artist here. It includes a wide range of collections of Tanjore paintings which are authentic and exclusive. 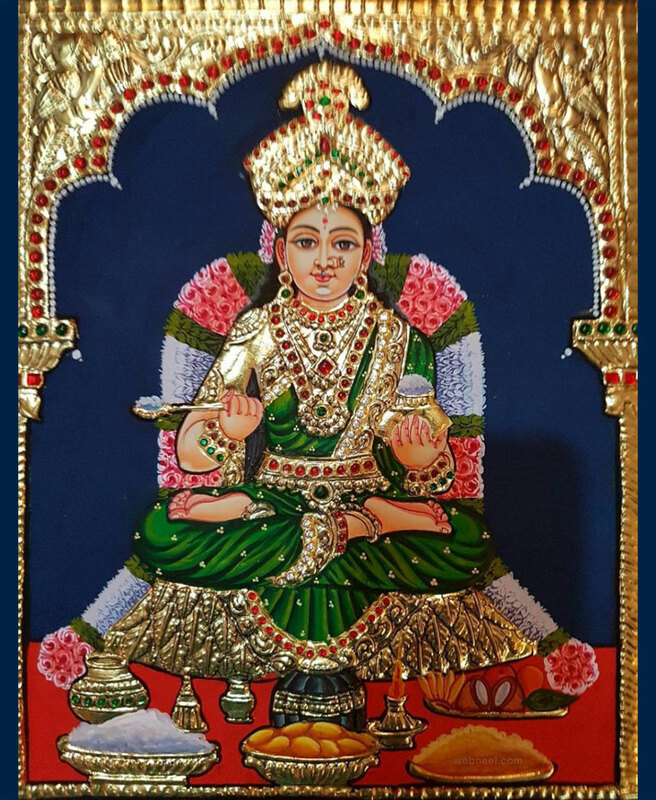 The South Indian traditional art of Tanjore is promoted by latha arts for past 20 years which has a professional team of artists who are specialised in this field. They also provide training through classes for all age group of art lovers. Vennila Arts displays traditional yet contemporary style through its Tanjore paintings. With a great passion for art right from his childhood Mr.Mohan started vennila arts a decade ago and has been successfully spreading the glory of Tanjore painting throughout the globe. He has an experience of about 20 years in the field of tajore painting and glass painting. Gurubaran Tanjore art gallery has been a pioneer in the field of tanjore paintings for past 25 years. They are specialists in tanjore paintings since 1977. It was founded by Mr Loganathan and now it is taken care of by his son Mr Vijaya Kumar who has specialised in tanjore paintings and has completed his studies in Meena Muthiah Arts College. Mr.Vijaya Kumar does the paintings now and is an expert in that art for past 20 years. 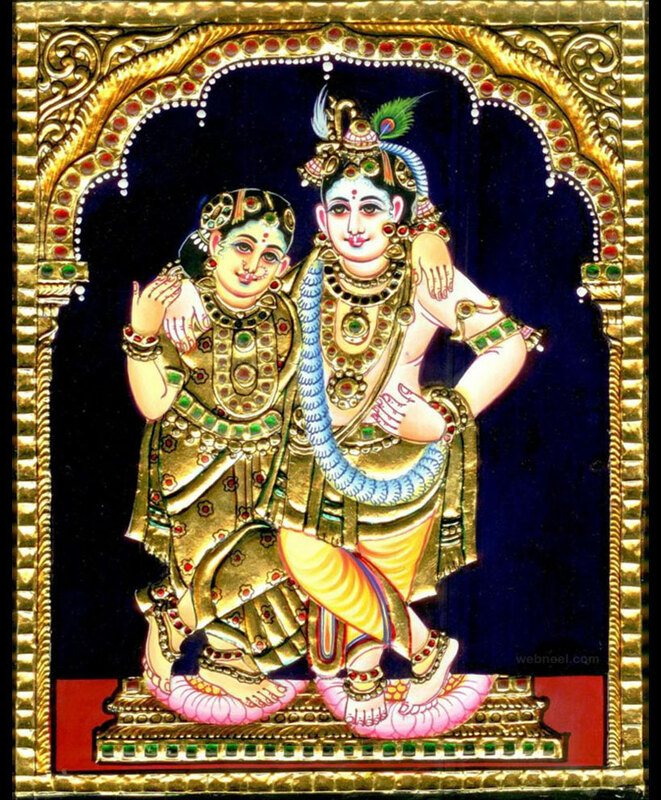 Paintings of Vijaya Kumar has global reach, many of his tanjore paintings are seen in America. 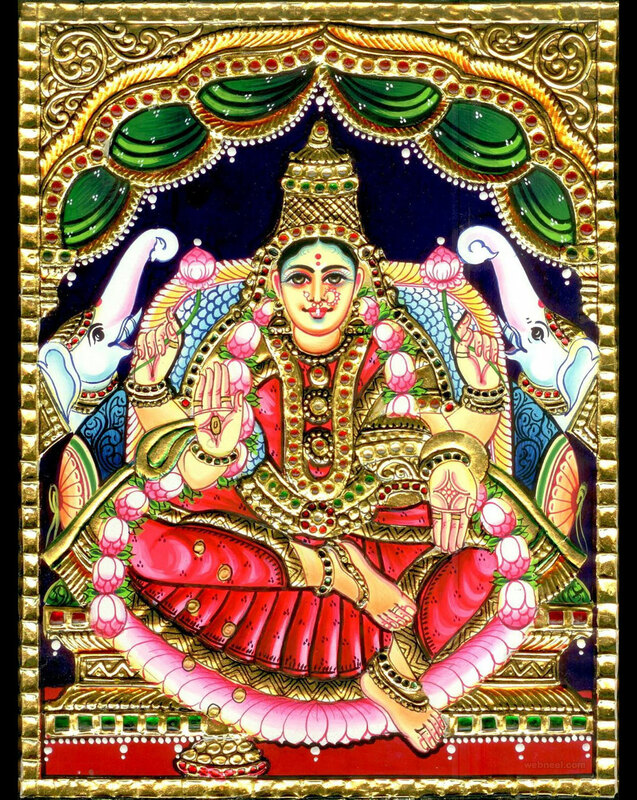 Devasena Murali is an artist from Madurai and has been in the tanjore painting business since 1991. 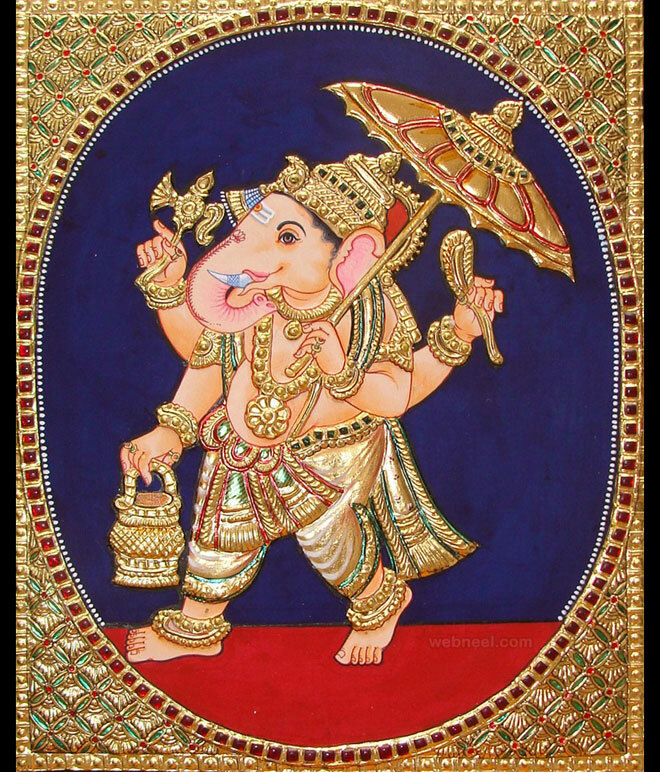 You are sure to find talented tanjore paintings based on various cultures and myths. Vishwas is an artist from Villivakam, Chennai. 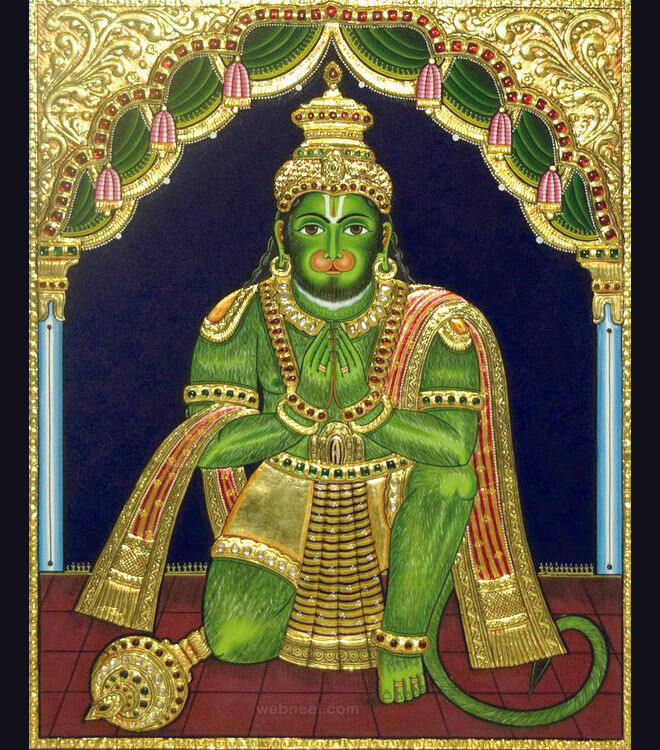 He specializes in tanjore paintings. Tanjore styles specializes in tanjore paintings which are delicately embedded with semi precious gems, beads and gold foils. 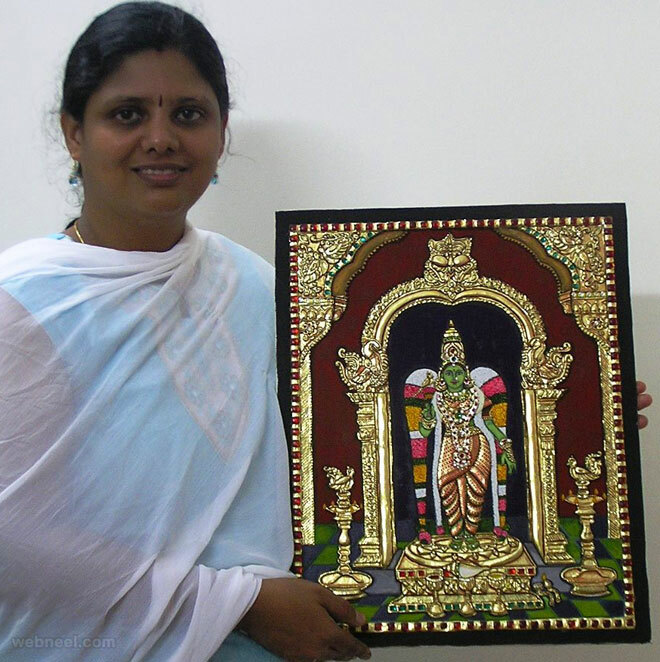 Jaya Bharathi is an artist from Trichy who specializes in tanjore paintings. Archana Arts is owned by the artist Thangaraj. 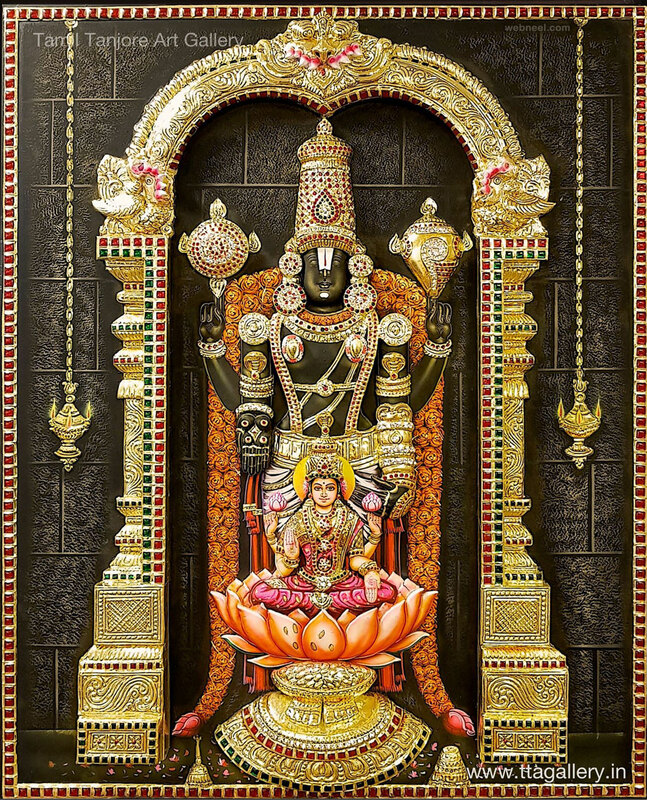 He lives in Madurai and since 2008 he has been creating stunning tanjore paintings. 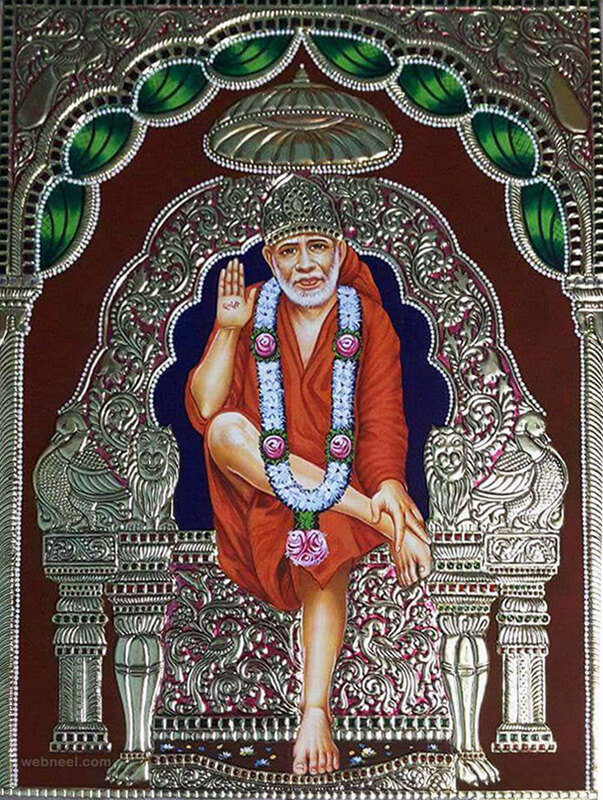 Address : 11, Kaliamman Koil Lane, Sellur, Madurai-625002, Tamilnadu, India. Gurubaran Tanjore Art Gallery is one of the pioneers and the most popular and specialist in Tanjore Paintings, Glass Paintings and manufacturers of first quality Jaipur Colour stones, White stones, Gold foil and materials for the past 25 years. Ethnic Tanjore Arts is a family business since 1901. They have five generations of talent in creating stunning tanjore paintings. 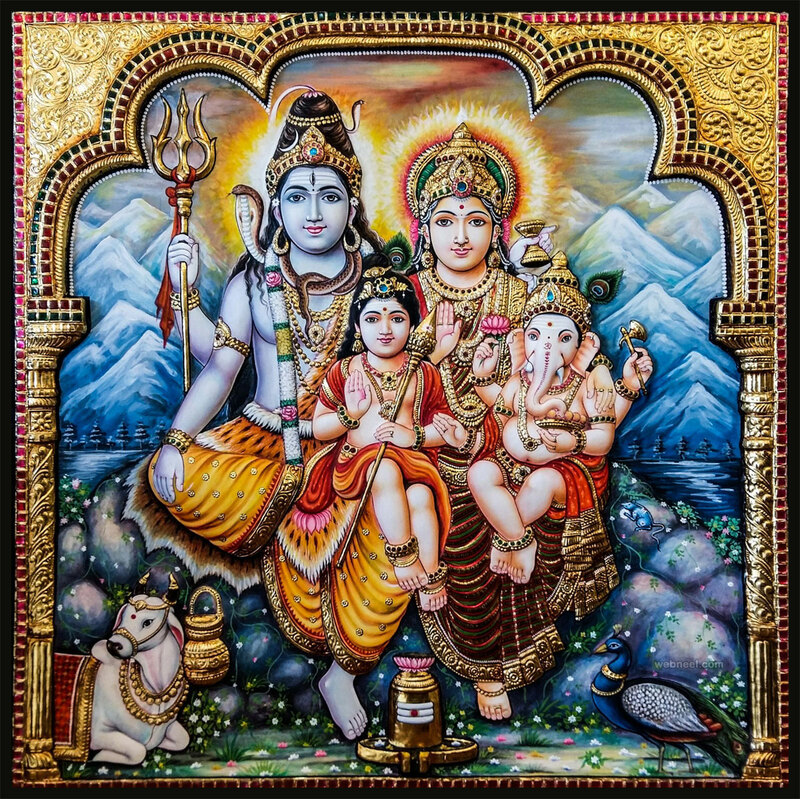 Premalatha is a professional tanjore painting artist who has an experience of 25 years in this field. 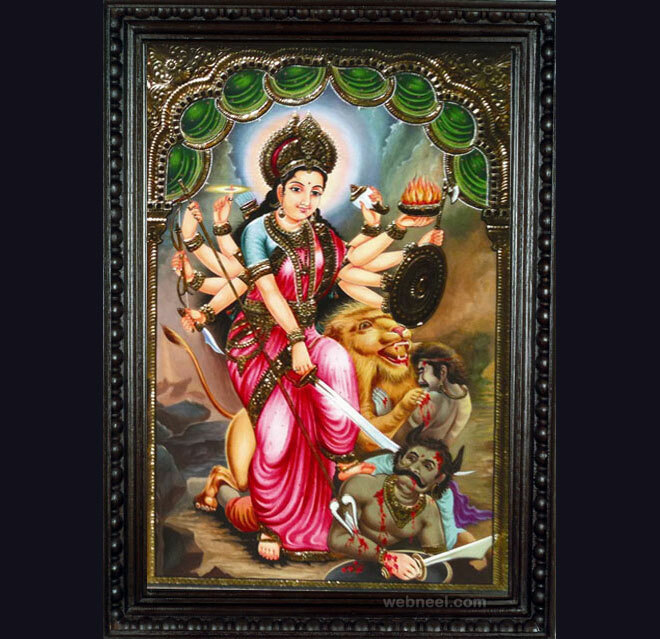 Her tanjore paintings are exclusively crafted and her traditional God paintings are widely popular among art lovers. 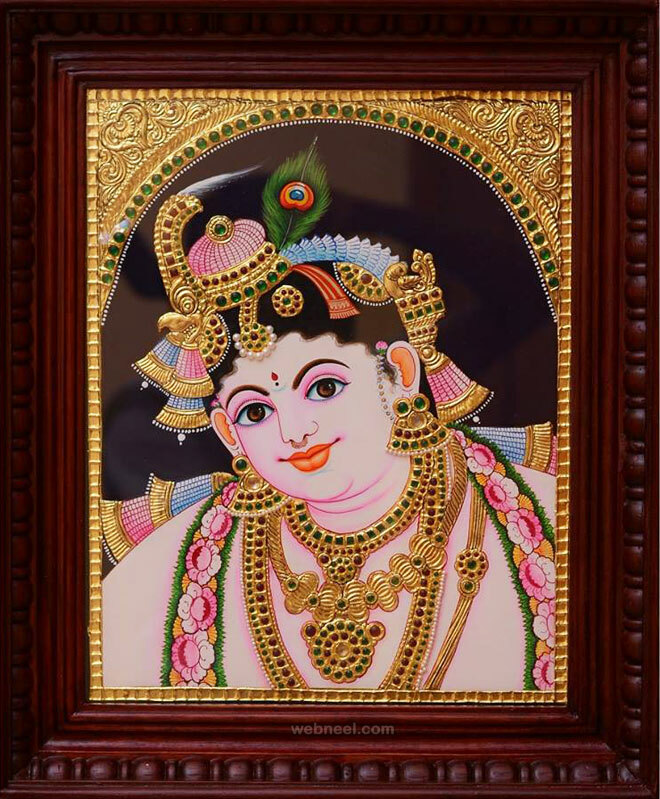 KumKum Gallery has a vision to enhance the fame of Tanjore paintings to the global community. The gallery serves its motive for past 18 years since its inception 2005. The Tanjore paintings are great legacy of south India with its unique style and craftmanship. The professionals artists of Kum Kum gallery are 15 to 30 years experienced in this feild. The paintings are naturaly graceful and expressive in pure 22 carat gold foils and high quality semi-precious stones. 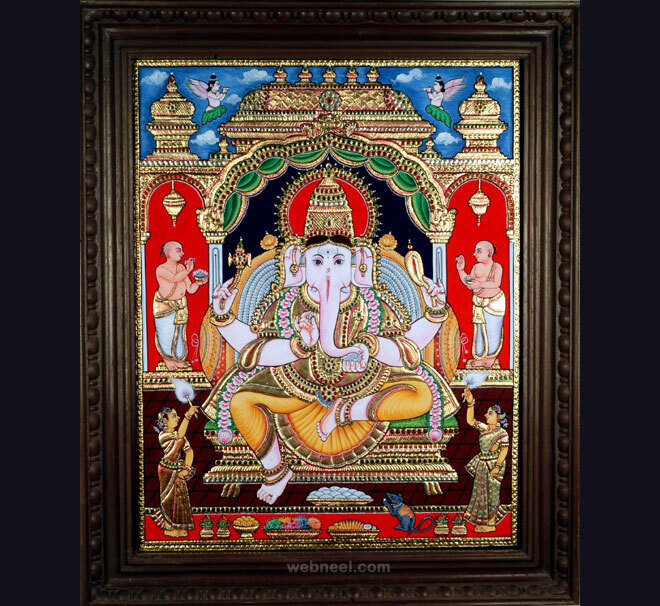 Neeraj Parswal is a professional tanjore painting artists who is associated with many art galleries around the world. She i s swlling original paintings,commissioned paintings and prings in international market. 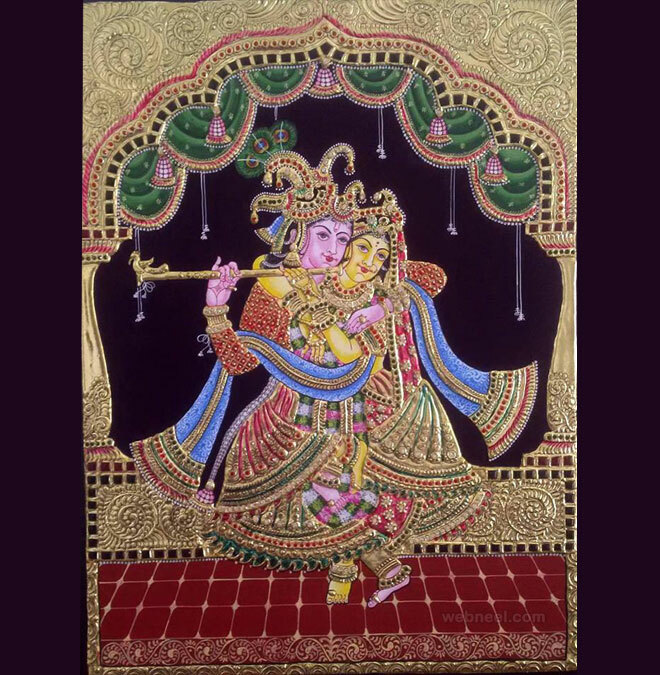 Tanjore Paintings of Neeraj Parswal are innovative and creative in all aspects.